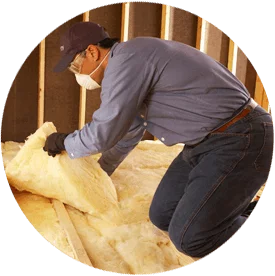 Looking for an insulation company serving southern and central Wisconsin? Make Alpine Insulation your first call. 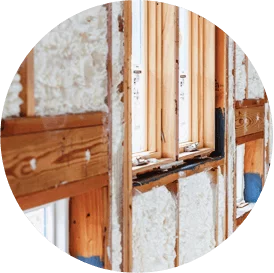 We install loose-fill cellulose insulation in homes and buildings for residential and commercial new construction and retrofit projects. The walls, ceilings and floors of your home are filled with odd-shaped cavities and obstacles created by plumbing, air ducts and wiring. For your insulation to work properly, it must fill in completely around these obstacles. Cellulose insulation is sprayed or blown into your home’s walls, providing a seamless insulation system. To learn more about how cellulose insulation could be right for your home, call (866) 261-1090 or contact Alpine Insulation online today! Walls – Keep your home comfortable and the noise between rooms minimal with wall insulation in south & central Wisconsin. Attics – As a significant source of energy loss in homes, the attic should be properly insulated. Crawl spaces – These hard to reach areas can develop mold growth and moisture issues if not insulated. Basements – The basement of your home is an important area to keep insulated. There are benefits to insulating the ceiling and the walls of a basement. Our insulation team adds energy efficiency, comfort and value to homes and buildings. We have the knowledge, experience and resources that few local companies can match, so choose Alpine Insulation for your next insulation project. At Alpine Insulation, we believe an informed customer is a happy customer. That’s why we provide complete and thorough information about our insulation products and services. We can explain the scope of work that will need to be completed and any costs associated so that you’ll know exactly what to expect. Give us a call or contact us online. We’re looking forward to working with you on your insulation project!